Due to its perfect location at the river Rhine, Cologne was already an important city during the Roman Empire and later became one of the largest and most powerful cities in northern Europe during the medieval age. Today, the famous Cologne Dome is the major landmark in the city and still shows the importance the city once had. And the spirit of a proud city still shows in many aspects, like the carnival, which reaches its peak in a crazy parade through the city, or the Kölsch, a beer which is only brewed in Cologne. 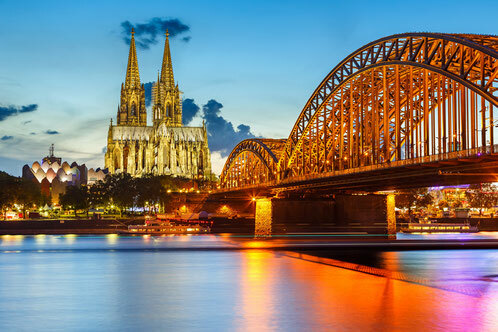 The beautiful surrounding of Cologne is inviting as well – especially the romantic Rhine area south of Cologne, with its many castles and fortresses, the Lorely rock and vineyards producing the famous German Riesling wine. 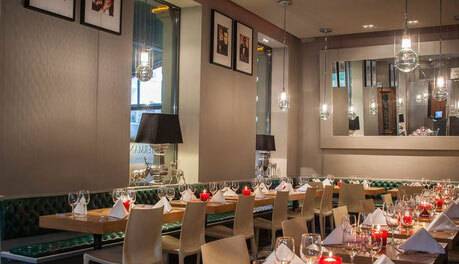 The 3* modern hotel is located near the Old Town of Cologne, in the district Altstadt-Sued. Guests can enjoy the on-site restaurant and free Wi-Fi. The 323 rooms have a modern design and are equipped with a spacious bathroom. Because of the central location, the airport (20 min.) and trade fair (15 min.) can be easily and quickly reached by transfer. 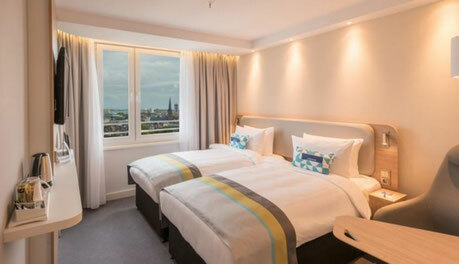 The stunning new 4* art'otel cologne by park plaza is situated on the embankment of the River Rhine in the newly developed Rheinauhafen port of Cologne. The hotel's amenities include complimentary Wi-Fi, business services, on-site dining and meeting facilities. The hotel is ideally located near the city's main train station and local attractions. 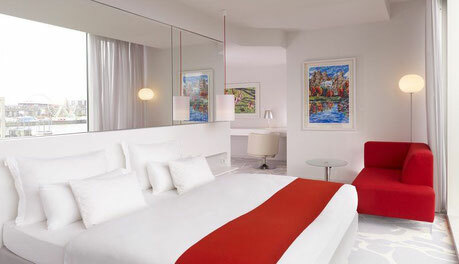 It offers 218 design-led and fully air-conditioned guest rooms. The 5* hotel is situated in the centre of the cathedral city and in the heart of a quiet residential area. The building of the hotel was once the biggest water tower in Europe. 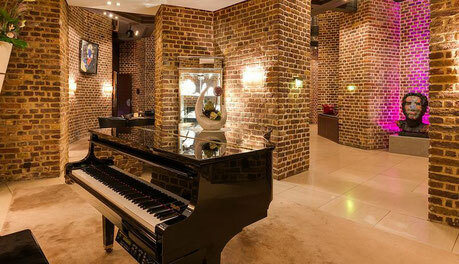 Behind the historic brickwork one can find an exceptional interior with a timeless modern design. One highlight of the hotel is the 360° Panorama Roof Terrace, which offers incomparable views of the landmarks of Cologne. The Private Dining Room can be booked and groups can enjoy wrap-around views of Cologne. Since 1904, numerous guests have enjoyed the successful gastronomic variety right across the Cologne Cathedral. The Kölsch beer brewery on the ground floor is the heart of restaurant and is just like a Cologne restaurant has to be: rustic and cozy. The brewery cellar captivates medieval vaults with Romanesque arches and its own cellar counter. 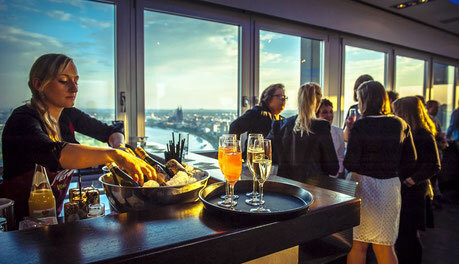 Since 2012 there is a new event location high above the rooftops of Cologne: the Früh Lounge. The light-flooded room offers a spectacular view of Cologne Cathedral. With a capacity of 150 people, the room is ideal for private parties or conferences. 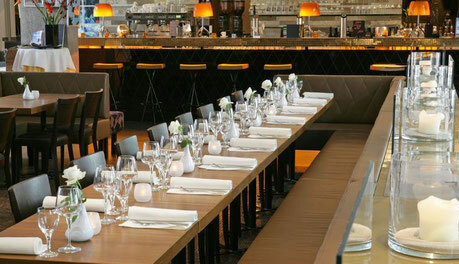 For more than 15 years the stylish restaurant is an integral part of the Cologne gastronomy scene! The restaurant offers a sophisticated international cuisine, which can be enjoined in summer on the terrace at the idyllic Rathenauplatz as well. 60 persons can be seated inside the restaurant and 70 persons on the summer terrace. The location itself has become very popular, on the one hand guests can dine and drink in a family atmosphere on the other hand the scene likes the restaurant because of its club atmosphere and gets ready for the nightlife. The restaurant has a very long tradition, already in 1623, in the 30-year war, the Catholic military alliance met here. It is very centrally located in the old town of Cologne. The restaurant is also suitable for festivities and events; it can accommodate up to 120 guests and the beautiful atrium can accommodate another 200 guests. The cuisine offers creative regional and international dishes. 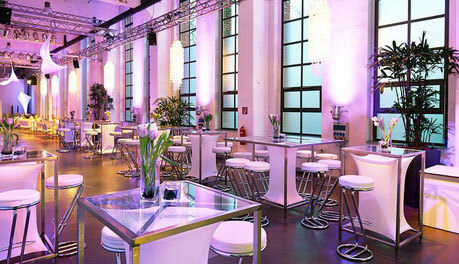 bauwerk köln offers the perfect blend of tradition and modernity, flexibility and surprise effects. 1 hall, 2 levels, 6 boxes, 6 surprise moments, each box (= mobile room) can be completely individually furnished and equipped and can be individually arranged for product presentations, conferences or weddings. The location offers 666 m² for up to 400 guests (standing) or 180 guests (banquet). For its special and individual design the location has won the Location Award 2015. This is what a modern dream ship looks like! 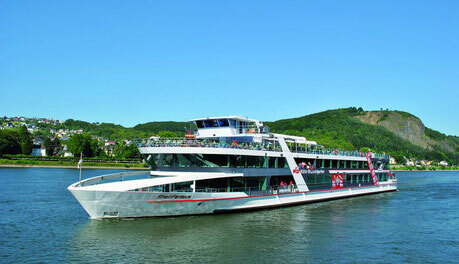 The ship was launched in 2011 and is the perfect location for events of all kinds up to 1.000 persons. The ship convinces with modern event technology, just as it should be for a trendy event location. The possibilities on board are almost limitless: The spacious open deck measures 900 m² and even has a barbecue station for fun summer events. Lots of space and lots of fun for your guests! Up Cologne is Cologne's highest event location and is located directly on the banks of the river Rhine. From the 45th floor you enjoy a unique view (270 degrees panorama) over the cathedral city. The light-flooded rooms and the elegant atmosphere offer ideal conditions for prestigious business events, parties or weddings. Up Cologne offers space for max. 120 people. In seating form there is space for up to 50 people. In this workshop groups learn all about the world of the perfumer and create their own perfume in the famous building of the “Eau de Cologne” 4711. In 1709 perfumer Johann Maria Farina created the first fragrant water and called it honoring his new home city "Eau de Cologne”. 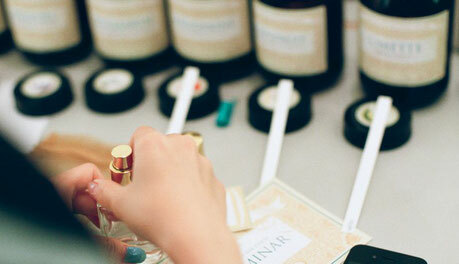 Groups will get an exclusive insight about the perfumer´s art and compose their own personal Eau de Cologne under the instruction of experts. 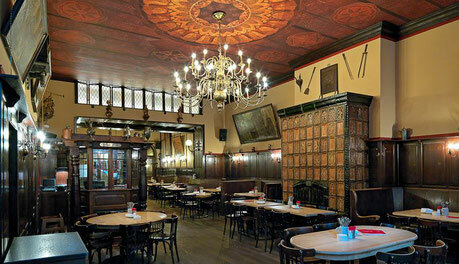 During this entertaining brewery tour one will visit different brewery pubs in the old town of Cologne. While walking from brewery to brewery, the guide will introduce the group to interesting stories and facts about the city and show them some of its sights. 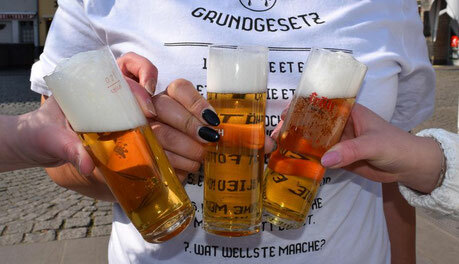 The group will get to know which brewery is still producing beer, who is allowed to name its beer Kölsch and since when, and what the special characteristics of the different breweries are. 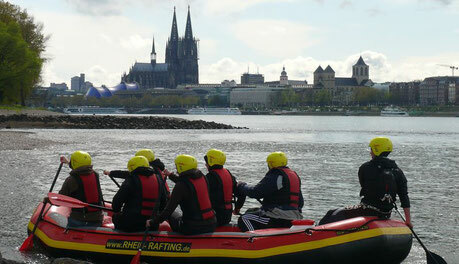 The tour takes groups through Cologne on the mighty river Rhine. After the safety instruction and equipped with life jacket, helmet and paddle the group gets into the water. After crossing the shipping line the sightseeing of Cologne from a new perspective can start! The group will paddle past the crane houses, the chocolate museum and the Rheinauhafen and has a new and fantastic look at the various bridges and the old town with the famous Cologne cathedral. Click here for more information of Cologne.